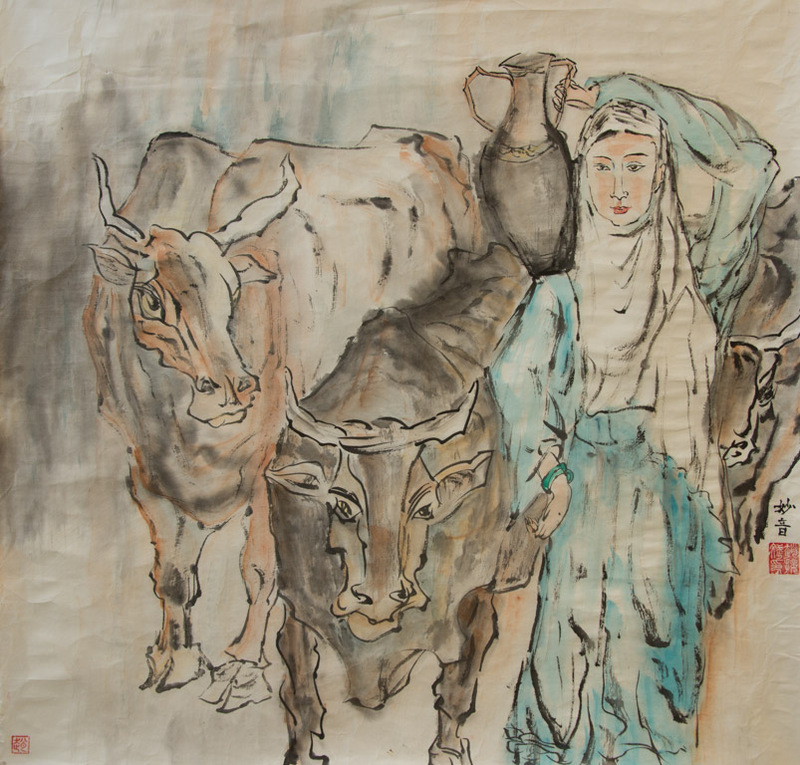 Zhao Jiebin was born in Dali, Yunnan, a province in the far southwestern part of China near the borders with Tibet and Burma. Mr. Zhao is “Bai” , the predominant ethnicity of this high mountain area of western China. Zhao’s lovely wife is “Uyghur” and comes from the remote province of Xinjiang to the north and west of Yunnan. Together with their 1-year old son, they share a small two-room home in central Dali. Zhao’s studio, where he is shown at work, is in a small converted shed across their small courtyard “The Pomegranite Pavilion”. 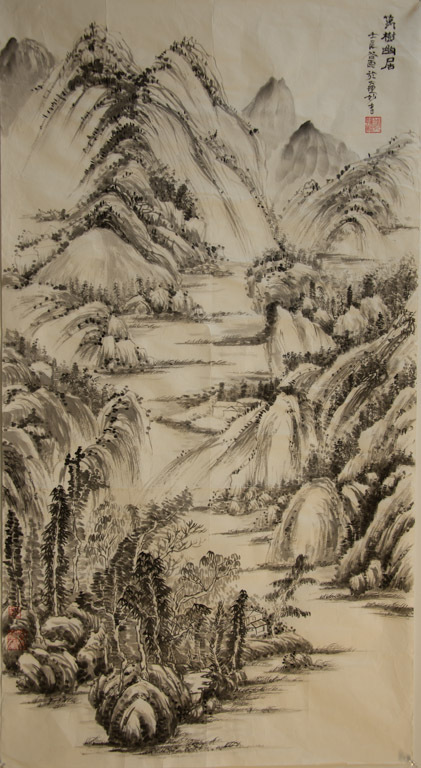 We were privileged to spend an afternoon with Zhao in 2012, watching him paint, having tea and buying over a dozen of his wonderful paintings. 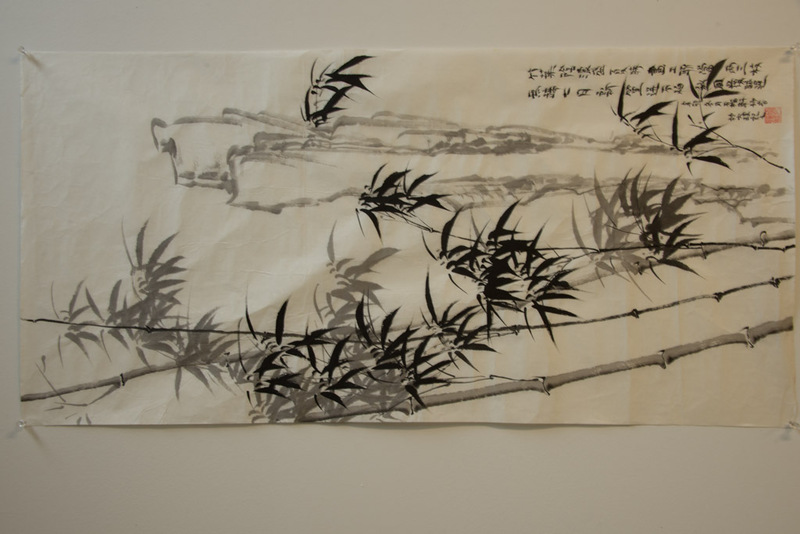 Zhao is completely self-taught. 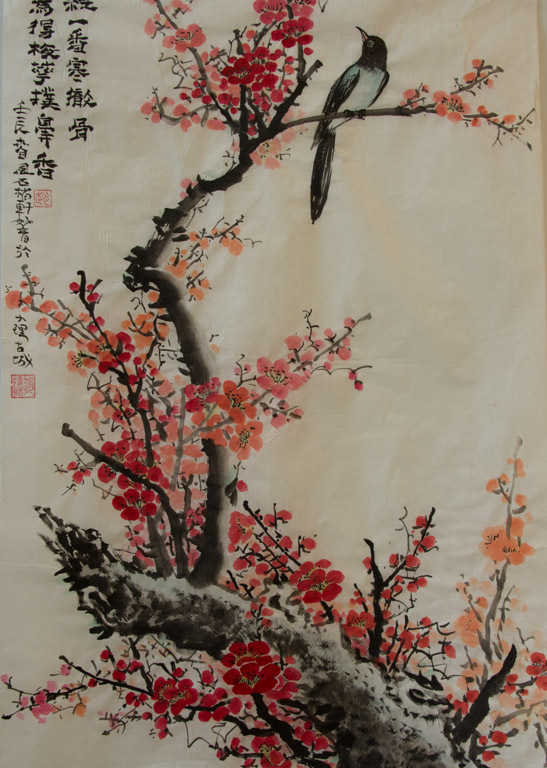 He began painting when he was 5 years old and has continued over the last 25 years to extend and refine his abilities with the Chinese brush and ink styles that are traditional in this area of China as they are throughout this huge nation. He has also extended his range of subject matter and media by adopting watercolor techniques to complement ink sketches. 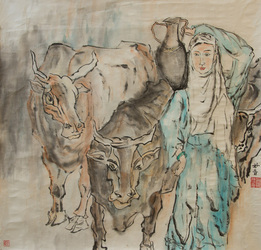 He love to make friends within the art circle of Yunnan, where he is part of the artist cooperative Nanzhao Studio in Dali. His works are on display at a number of local exhibitions in Dali and have been well received, but to our knowledge this is the first time that his work has been represented in the United States. His work shows the expected skills of the Chinese brush artist, but with an imagination and flair that makes him unique.